Intex Pools vs Bestway Pools vs Coleman Pools: Which One Is Better? In the hot summer, you, your family, and your friends want to cool down in the best swimming pool. However, leaving your residence and searching for the ideal pool can be a hassle. So, why don’t you invest in an above ground pool which will take up less space in your background? It is a great investment than you could imagine. This article will review three of the top above ground swimming pool models in the industry to provide you the answer to: Intex Pools vs Bestway Pools vs Coleman Pools: Which One Is Better? Here are the top 9 above ground pools that you will find on the market today. Intex 12 Feet x 30 Inches Metal Frame Pool Set is one of the best pools from Intex. This model comes with super-tough laminated PVC sidewalls that ensure it lasts for years. The pool is able to connect to Krystal clear cartridge filter pump to provide clean water that is refreshing. It also comes with a ground fault breaker that shuts the pump of electrical power is exposed to the water. Besides, the model has a 12 months warranty and the package includes the warranty and 530 gph Krystal clear cartridge filter pump. Another feature of the pool is the convenient drain plug that allows you to connect to the garden hose. This means that you can easily drain the water away from the house or pool area. Talking of water, the pool is able to hold up to 1,718 gallons of water and you can easily fill it to 90%. It also features dual suction outlets fittings that improve the water circulation, leading to water clarity and hygiene. This above ground pool is engineered for strength. It is supported with durable and strong steel frames which are powered covered for beauty and rust free ultra-frame. The pool also prides itself of having a contemporary appearance as well as enhanced strength, making it a standard for all luxury pools today. Just like Intex 12 Feet x 30 Inches, this model provides crystal clear water thanks to the Krystal clear cartridge filter pump. With this filter, the pool is usually ready for use within 45 minutes. It also comes with the latest dual suction outlet fittings that enhance water circulation to provide clear and hygiene water. Another feature of this model is the newly designed ladder that provides additional stability and support. And it holds up to 3,357 gallons of water when at 90% full. The Krystal Clear cartridge filter pump is able to pump 1,000 gph, making it an effective pump. It also comes with a ladder that makes it easier to get in and out of the pool. Besides, it also comes with a ground cloth and debris cover that ensures your pool is always clear. You will also get a set-up DVD that will help you to assemble your pool within minutes. Have fun playing and splashing in the amazing Intex Mini Frame Pool. This is one of the best pools in the industry today and is quite affordable. It is a comforting pool that you can swim and rest in for hours without getting tired, thanks to the foam padded horizontal beams. The pool also comes with a drain plug that allows you to drain the water at a far distance from your garden or near the pool. Moreover, it comes with a repair patch kit that allows you to repair your pool when it gets damaged. This means that you don’t need to throw your pool away when it gets punched. Made to last for over 3 years, the pool comes with a 3 years warranty that covers all defects that might arise due to the manufacturer fault. It is also a big pool that will take about 89 gallons of water when it is 9.5 inches full. This is a great pool that comes from Intex and you can easily clean it using the best robotic pool cleaner. Intex Swimming Pool Easy Set is easy to set above ground swimming pool that will take you just a few minutes to get it working. It is also one of the easiest models when it comes to cleaning. The model is able to hold 639 gallons of water, making it a great pool for all users – including adults and kids. Hence, this is a pool that all your family members can cool during the hot summer. Made to last, the pool is made of heavy-duty vinyl liner that ensures you have a product that will last for decades. Besides, it is easy to set the pool, proving you with more time for swimming and less for assembling it. Another feature of the product is the ability to use a filter pump. When you get the pump (which is not included), you get a clean pool that has relaxing water. Also, it is very mobile that you can easily disable to take it to your storage room when you don’t need to use it. Easy to assemble and durable, Intex Prism Frame Pool Set features all the awesome features of metal frame swimming pools. It is also enhanced with super-strong powder-coated steel tubing. Another feature of the product is the stylish looking liner that makes it an attractive pool for all users. It also uses hydro aeration tech that improves the cartridge filter pump performance to provide better filtration and circulation. With increased negative ions and improved water clarity, the pool is great for swimming and will offer a relaxing environment. Besides, it is made with puncture-free 3-ply material that makes your pool last for years. Instructional DVD is also provided to help you assemble your pool with ease and even know how to maintain it. It is able to hold water up to 90%, which is 3,861 gallons of water. And you can expect it to last for over 6 years, which is a long time in the swimming pool industry. It is a great pool for all pool lovers and you should have it in your yard. This is an ultra-frame pool that is engineered for strength. It is made of durable steel frames which are coated with powder to ensure that it is strong, beautiful, and rust resistance. With increased strength and a contemporary appearance, the Intex ultra-frame is a leader in the pool world. And when you connect the saltwater system and Krystal clear sand filter pump you can easily enjoy sparkling and clear water. The model is easy to assemble and become ready for use within an hour. It also features dual suction outlet fittings that improve water circulation, leading to water clarity and hygiene. Another feature of the pool is the ladder that provides you with greater stability and support. This allows you to move in and out of your pool with ease. The pool is able to hold 8,403 gallons of water, which means that you should fill it up to 90%. It also comes with a debris cover and ground cloth that you can use to cover your pool. Additionally, it comes with a maintenance and set-up DVD that will help you to set and maintain your pool. Another brand that offers great above ground swimming pools is Bestway. One of its ideal swimming pools is the 56399E Power Steel that has been providing fantastic swimming time for swimmers. The model comes with Tri-tech pool liner that is made of polyester 3-ply and heavy-duty PVC side walls. You can rest assured that you have a pool that will last for years. The pool is equipped with a lock system and seal for additional safety as well as secure pipe connection. Another feature is the corrosion-free metal frames that ensure your pool will not rust for easily. This pool is able to hold up to 6,869 gallons of water, which is 90% of the total capacity. It also comes with a ladder that helps you to get in and out of the pool with ease. The pool has a cover that you can use to cover it when it’s not in use. It is a great model that will offer value for your money. This pool measures 10 feet by 30 inches, making it a great model for swimming during the hot summer. It is able to hold 1,236 gallons of water when it is 90% full. It is, therefore, a pool that you will have fun with all your family members. One great feature of this pool is the ease of setting it. You can easily set it up within minutes to ensure that you have enough time for swimming. It also comes with a flow control drain valve that allows you to drain it with ease. In fact, you can drain the water to a far distance to ensure that you won’t damage your pool by stagnant water. The model also comes with a repair patch that you can use to repair your pool when it gets damaged. It is a great product that will offer value for your money. The 22 feet x 52 inches Coleman Power Steel Frame Pool is a great option for families and is made of a durable steel frame. This frame helps the pool to remain durable and have amazing strength. When it comes to assembling, you will require little energy and time since it was made to be assembled within minutes. The pool comes with a ground cloth that protects your pool and safeguards your garden. Also, to keep the dirt out, there is a pool cover that will keep out every kind of dirt from your pool. Hence, you can dive into the water and come out refreshed without worrying about anything. It also comes with a ladder that will simplify your navigation. Thus, you can easily move in and out of your pool. It also comes with a 2500 gallons pump that maintains clean water every time. The metal frames come with a rust-free cover and also has a flow control drain valve. You can easily drain the water and throw it far away from your pool as possible. The above three pool companies have their unique benefits that you should know. We will look at the main features of these companies to help you choose the best brand. To start, Intex Pools are quite affordable. For as little as $200, you can get a pool that will offer you services for about two years. This means that you will only use $21 per month if you use your pool for three years, four times a year. Intex pools are very easy to install. They can be ready within ½ an hour and ready for water within an hour. This means that you can buy these pools in the morning and take a swim in the afternoon. Besides, you can easily set Intex pools yourself, saving you money. If you intend to move from your current residence in the future, you can get yourself an Intex pool and assemble it since it doesn’t need permanent structure. You can also undo the landscaping done when setting the pool faster. Bulk equipment isn’t required. The Intex pools also come with solid pumps and filters – and they use less power. Actually, these pools come with all the accessories and parts that you might need to have a great summer. When compared to most pools, the Bestway pools are quite affordable. The main reason for this is that they don’t require a lot of preparation when installing them. Simply clear the site and you will have your pool ready within minutes. Once you receive your Bestway pool, setting it up and filling it with water is easy. This means that you will get the instant fun you have always wanted. You can easily drain your pool when you want to store it. When winter comes, simply remove all the water and store it in your garage or any other place. When summer comes, set it up, fill it with water, and dive in. You can even move with Bestway pools at your new residence. In case you are suffering from joint or body pain, you should get a Bestway pool for these pains. It works just like a bathtub to relieve all your pains. They are also handy for stretching your muscle while recovering. It is very easy to maintain and manage Coleman swimming pools. You do not need to clean, filter, or bleach them regularly like other facilities. You won’t also need to clean the water regularly to remove infection and allergies. Besides, the water in Coleman’s pools flows smoothly. Coleman offers some of the easiest pools when it comes to adjustment. As well, they come in different shapes, depth, and sizes. You can enjoy your swimming and relax in a full-size facility while your kid swims in a toddler model. You can even increase or decrease the size of your pool when need be. Easy to install, you can use a Coleman pool whenever you want within a few minutes. You only need to set up your pool and everything will be in place. Also, they are one of the easiest pools when it comes to cleaning. You can put on whichever cloth you want when swimming at Coleman pools. This is all possible since you can set it at your home. Posted in Pool on Intex Pools vs Bestway Pools vs Coleman Pools: Which One Is Better? Whether you own an above-ground or in-ground pool, it is important you keep it clean. There is no better way to do this than to vacuum your pool. While a pool with a skimmer will be easier to clean, there are pools that don’t have a skimmer. This is why we want to look at how to vacuum Intex pool without skimmer. These processes will also help you to clean other above-ground swimming pools. First things first – here are the things or tools you will need to vacuum your Intex pool without a skimmer, the right way. Pool vacuum head – These heads are made to attach to all cleaning poles. So, it is ideal to buy a head that will fit in your existing pole. Telescoping pole – Telescoping poles easily connects to nets, hooks, and pool skimmers, so you might have one already. Of important, ensure that it reaches the bottom of your Intex pool. Vacuum hose – These hoses are also made to universally fit all systems. Also, ensure that you get a long hose that will reach all corners of your pool. Skim vac or vacuum plate – Vacuum plate enables you to use your skimmer basket instead of strainer basket, removing the need to switch the pool pump on/off. One of the easiest methods of vacuuming a pool is to attach a vacuum system to the garden hose. This method is effective, inexpensive, and great for small above ground pools. Connect your telescoping pole to your vacuum head. Connect one end of your garden hose to the other end of your telescopic pole. Connect the other end of your garden hose to the spigot. Attach your vacuum bag to the right end of your vacuum. Switch off your swimming pool filtration mechanism. Turn the water on and submerge your vacuum into your pool. Steadily and slowly move your vacuum around the pool (back and forth), along the surface to remove debris and dirt. NOTE: If your vacuum cleaner loses suction when vacuuming your pool, pull it out and empty the bag. If it continues to be inefficient, turn off the water and then turn it on again before submerging your vacuum back into your pool. Finally, switch on the filtration system to remove any particle that might be left in your pool. Another method of cleaning your Intex pool is to vacuum it manually. How do you go about this? First, prime your vacuum by removing all the air from the system. Air pockets make the vacuum lose suction – so, remove the air before you start to clean to ensure that it cleans for a longer time. Attach your vacuum head onto your telescoping pole and drop it into the bottom of your pool surface. Attach the other end of your hose to a jet and leave it to push the air out of the garden hose. You will see air bubbles coming up from your vacuum head, notifying you that the air is getting out via your hose. When there is no other bubble, the hose will be free or air and ready to start vacuuming. Your vac system works by fixing it to a skimmer system powered by the suction of your pool circulation pump. Before you attach the other end of your garden hose to the system, you should remove your pool’s strainer basket. Then, plug the other end of the vacuum hose into the suction inlet at the base of the skimmer. Now you only need to move your vacuum back and forth at the surface of your pool to clean and vacuum it. In case you lose suction, just repeat the two steps above. Robotic Pool Cleaners – They vacuum your swimming pool using electricity. You only need to plug them into a power source, submerge them into your pool, and leave them to do the donkey’s work. Remember to empty the filter bag when it gets filled, you can easily know when it is full since some models come with an LED pool light. Pressure-Side Pool Cleaners – They hook up to the return line of your pool and use the water pressure to power automatic cleaner in your pool. They are great for vacuuming your pool. Suction-Side Pool Cleaners – This is simply an auto version of the vacuum cleaner. They work just like a manual vacuum cleaner and will get the job done within minutes. When you have finished cleaning your swimming pool, remove your vacuum head from your pole, and drain any water that might still be in the hose. Attach your brush to this pole and use it to scrub any dirt, debris, or algae that might be stuck on your poolside. Clear all debris from your strainer basket and give your pool filter backwash to remove all the dirt. Test for the water pH and other chemical composition. Also, clean all the tools you have used to clean your pool. When you are done, ensure that you cover your pool. You can use a solar pool cover to prevent dirt from entering your Intex pool and also ensure that the water remains warm. Our choice was Nico’s absolute favourite Christmas book since he got it last year (does it show in the video? 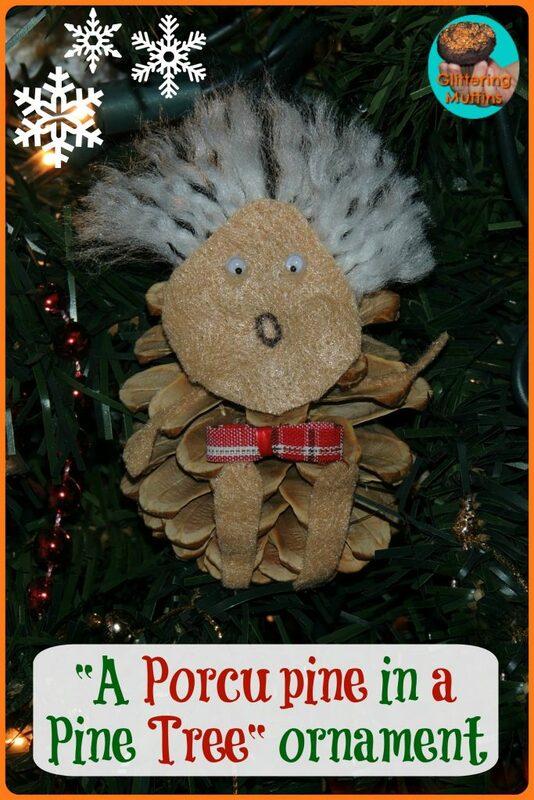 ), “A Porcupine in a Pine Tree: A Canadian 12 Days of Christmas”, which is a hilarious Canadian adaptation of the traditional “12 Days of Christmas”, which is taking twelve Canadian icons (such as squirrels, loons, hockey players and more) and transporting them into one of the funniest carols you’ll ever meet. SO it was an easy choice for our project! 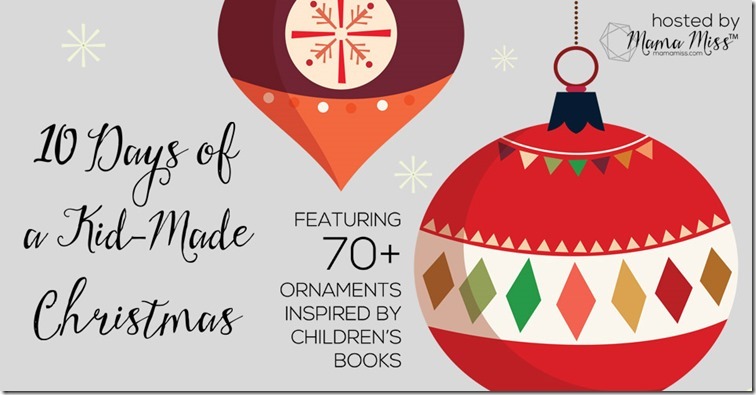 The protagonist, the porcupine, was our choice for the ornament and if you don’t want to make one from scratch, there is one thing that can be used as a base to save quite some work – a pine cone (and let’s be honest, with the book we are using as inspiration, could there be anything more fitting?)! To get its colour closer to the fur of the porcupine, we let the cone soak in a bleach/water solution for 24 hours and then baked it on 250 F for 2 hours, so it would reopen. Have a look at “Town and Country Living” for the exact instructions. As you can see, we did not attach any string, we sat him on the branch directly and he stayed on well. It is up to you, if you want to hang him in the tree, he can also be used sitting on a mantle or a center piece on a table. We named him Einstein the Porcupine, do you see the resemblance? …do like I did, have Nico do it with our home made glitter paint. You can paint both sides, we didn’t for time reasons. I love how he was so happy to stir with both hands and how focused he was painting. In the end it worked better with me holding a stick at a time. FYI all this has to be done in your pyjamas, of course! Hope you have fun with this, we sure will trying to pronounce everything and finding it in our atlas. If you like what you see, follow us on Facebook to keep up to date with what we’re up to!